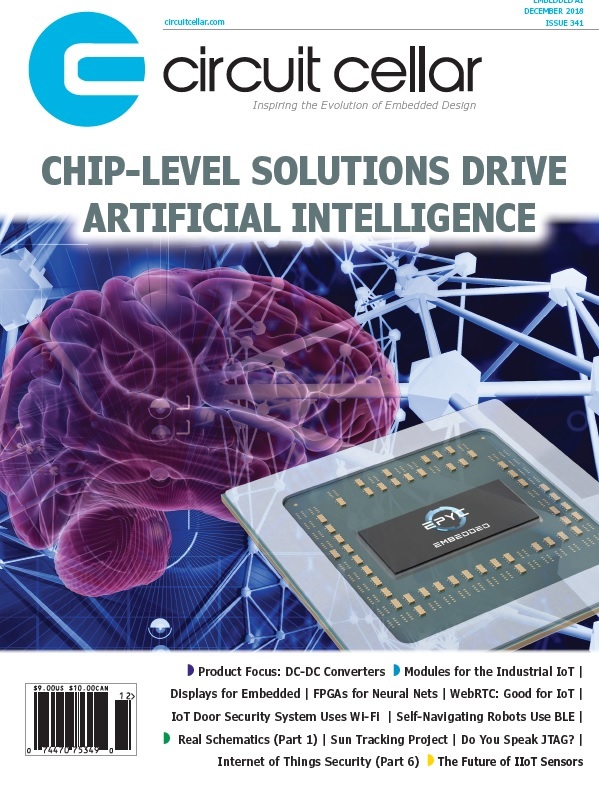 Plessey Semiconductors has successfully demonstrated how its monolithic microLED technology can be used to deliver the next-generation of Head-Up Displays (HUDs), enabling new AR and VR applications. According to the company, MicroLEDs are emerging as the only technology that can provide high luminance in a small format. 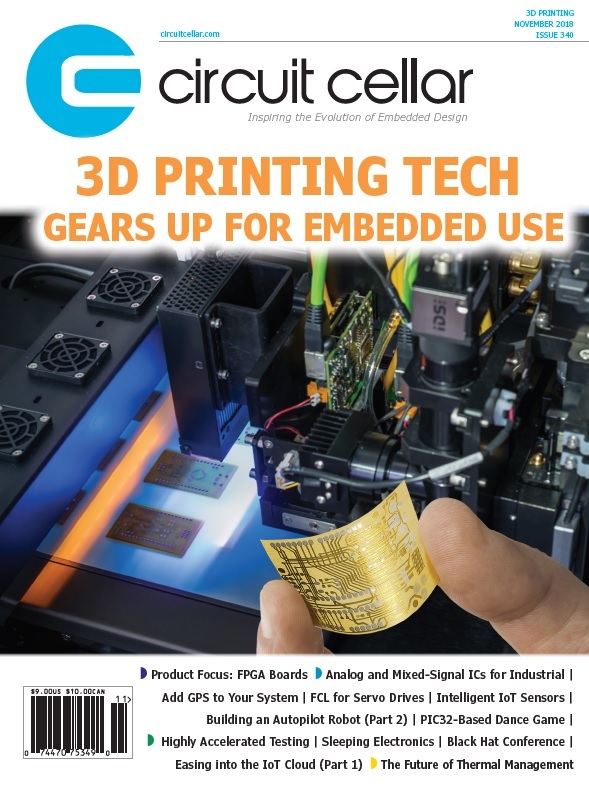 All leading manufacturers of wearable technologies are currently pursuing manufactures that can deliver an ideal microLED solution. With this demonstrator, Plessey has confirmed it is ready to enable its partners to move into production of a monolithic display based on microLEDs using the company’s proprietary GaN-on-Silicon approach. 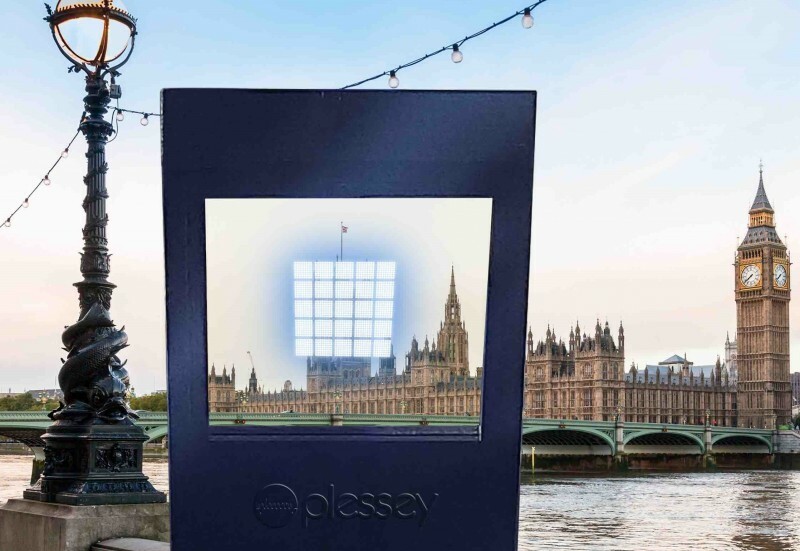 The demonstrator, which has been produced in collaboration with Artemis Optical, combines Plessey’s monolithic display, based on an array of microLEDs integrated alongside an active matrix backplane, with the patented film technology and a single lens arrangement from Artemis. The combination of technologies removes ambient light in the wavelength matching the microLED display output, resulting in a HUD that delivers very high display brightness with low power consumption, in a format that is considerably smaller than existing HUD designs, yet still offers significant cost savings. During CES 2018, Plessey Semiconductor and Artemis Optical presented the demonstrator to many leading companies developing VR and AR electronics. Headsets and eyewear outfitted for AR and VR applications are set for record sales this year of $1.2 billion in the US market alone, according to the Consumer Technology Association (CTA). 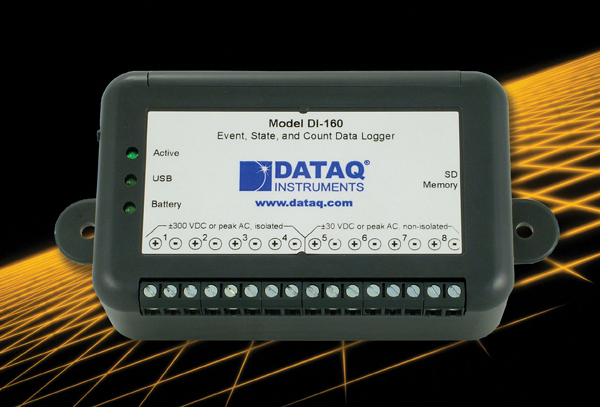 The DI-160 is a stand-alone event, state, and count data logger that features four programmable measurement modes. The data logger enables you to determine when events occur, the total number of events, and the period of time in between events. It can count parts by monitoring a proximity sensor’s pulse output, or determine a machine’s downtime by monitoring AC power. The DI-160 includes eight channels. Four ±300-VDC/peak AC isolated channels can accommodate high-level DC voltage signals, pulse inputs up 2 kHz, or AC line voltage. Four ±30-VDC/peak AC non-isolated channels (pulled high) enable you to monitor lower-level DC voltages, TTL-level, signals, or switch closures. 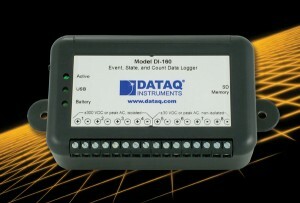 You can use DATAQ’s Event Recorder set-up software, which is included with the data logger, to enable/disable channels, select measurement modes on a channel-by-channel basis, and choose one of 21 sample intervals, ranging from 1 s to 24 h. Data is stored to a removable SD memory card in CSV format, enabling up to 500 days of continuous recording and easy viewing in Microsoft Excel. The DI-160’s AC channels provide channel-to-channel and input-to-output isolation up to 500 VDC (±250-V peak AC) and have a 4-V trigger threshold. 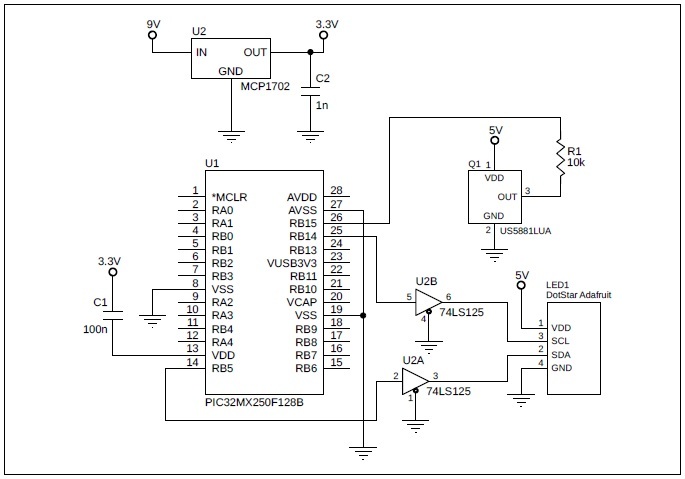 The low-voltage channels are protected up to ±30 VDC/peak AC and trigger at 2.5 V.
A built-in rechargeable battery acts as a “bridge” when disconnecting the data logger from a PC and connecting it to the USB power supply. Three LEDs indicate when the DI-160 is actively acquiring data, when the unit is connected via USB to a PC (or the included AC power supply), and the battery’s charge state. A push button enables you to start and stop recording to the SD memory card. The DI-160’s four selectable measurement modes. State mode determines an event’s duration. Event mode detects a single change of state (within a sample interval). High-Speed (HS) Counter mode yields the total number of state changes within a sample interval. AC Counter mode counts the number of times AC power turns on/off within a sample interval. The DI-160 costs $299 and includes a mini screwdriver a 2-GB SD memory card, an AC power supply, and a mini-USB cable. The DATAQ Event Recorder software is available for free download. NAN: You have been posting a weekly project on your website, Hack A Week, for almost three years. Why did you decide to create the website? That day I decided I was going to challenge myself to come up with a project and video each week and see if I could do it for at least one year. I came up with a simple domain name, www.hackaweek.com, bought it, and put up a website within 24 h.
My first project was a 555 timer-based project that I posted on April 1, 2011, on my YouTube channel, “Hack A Week TV.” I made it through the first year and just kept going. I currently have more than 3.2 million video views and more than 19,000 subscribers from all over the world. NAN: Hack A Week features quite a few robotics projects. How are the robots built? Do you have a favorite? Dino’s very first toy robot hack was the Rumble robot. 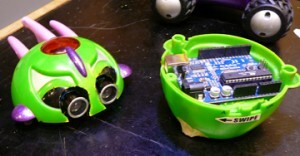 The robot featured an Arduino that sent PWM to the on-board H-bridge in the toy to control the motors for tank steering. A single PING))) sensor helped with navigation. 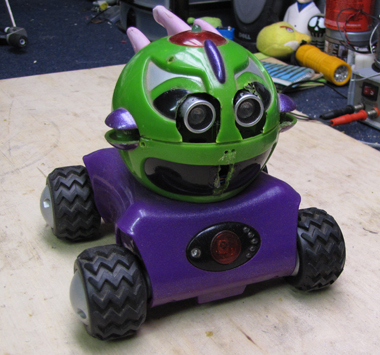 DINO: I usually use an Arduino as the robot’s controller and Roomba gear motors for locomotion. I have built a few others based on existing wheeled motorized toys and I’ve made a few with the Parallax Propeller chip. My “go-to” sensor is usually the Parallax PING))) ultrasonic sensor. It’s easy to connect and work with and the code is straightforward. I also use bump sensors, which are just simple contact switches, because they mimic the way some insects navigate. Nature is a great designer and much can be learned from observing it. I like to keep my engineering simple because it’s robust and easy to repair. The more you complicate a design, the more it can do. But it also becomes more likely that something will fail. Failure is not a bad thing if it leads to a better design that overcomes the failure. Good design is a balance of these things. This is why I leave my failures and mistakes in my videos to show how I arrive at the end result through some trial and error. My favorite robot would be “Photon: The Video and Photo Robot” that I built for the 2013 North Carolina Maker Faire. It’s my masterpiece robot…so far. NAN: Tell us a little more about Photon. Did you encounter any challenges while developing the robot? Photon awaits with cameras rolling, ready to go forth and record images. 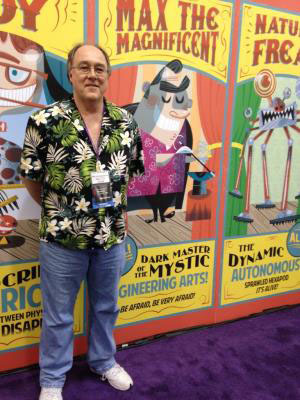 DINO: The idea for Photon first came to me in February 2013. I had been playing with the Emic 2 text-to-speech module from Parallax and I thought it would be fun to use it to give a robot speech capability. From there the idea grew to include cameras that would record and stream to the Internet what the robot saw and then give the robot the ability to navigate through the crowd at Maker Faire. 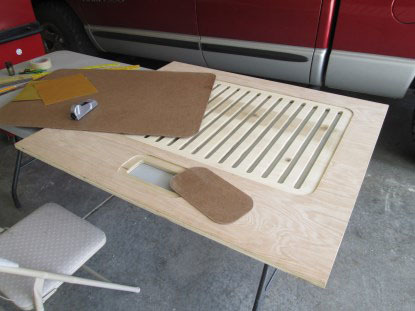 I got a late start on the project and ended up burning the midnight oil to get it finished in time. 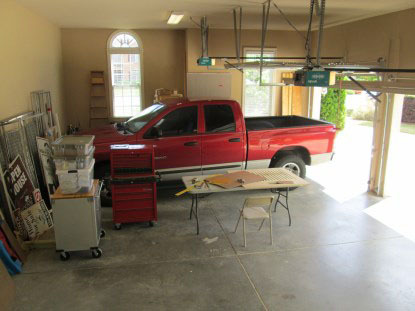 One of the bigger challenges was in designing a motorized base that would reliably move Photon across a cement floor. 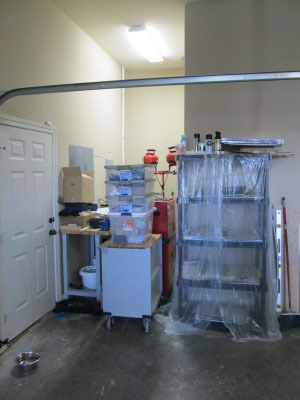 The problem was in dealing with elevation changes on the floor covering. What if Photon encountered a rug or an extension cord? I wanted to drive it with two gear motors salvaged from a Roomba 4000 vacuum robot to enable tank-style steering. 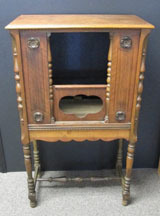 A large round base with a caster at the front and rear worked well, but it would only enable a small change in surface elevation. I ended up using that design and made sure that it stayed away from anything that might get it in trouble. The next challenge was giving Photon some sensors so it could navigate and stay away from obstacles. I used one PING))) sensor mounted on its head and turned the entire torso into a four-zone bump sensor, as was a ring around the base. The ring pushed on a series of 42 momentary contact switches connected together in four zones. All these sensors were connected to an Arduino running some simple code that turned Photon away from obstacles it encountered. Power was supplied by a motorcycle battery mounted on the base inside the torso. The head held two video cameras, two smartphones in camera mode, and one GoPro camera. One video camera and the GoPro were recording in HD; the other video camera was recording in time-lapse mode. The two smartphones streamed live video, one via 4G to a Ustream channel and the other via Wi-Fi. The Ustream worked great, but the Wi-Fi failed due to interference. Photon’s voice came from the Emic 2 connected to another Arduino sending it lines of text to speak. 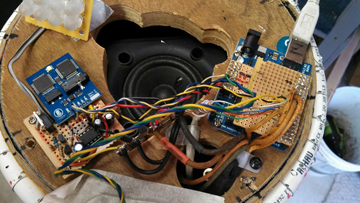 The audio was amplified by a small 0.5-W LM386 amplifier driving a 4” speaker. An array of blue LEDs mounted on the head illuminated with the brightness modulated by the audio signal when Photon spoke. The speech was just a lot of lines of text running in a timed loop. Photon’s brain includes two Arduinos and an LM386 0.5-W audio amplifier with a sound-to-voltage circuit added to drive the mouth LED array. Photon’s voice comes from a Parallax Emic 2 text-to-speech module. Connecting all of these things together was very challenging. Each component needed a regulated power supply, which I built using LM317T voltage regulators. The entire current draw with motors running was about 1.5 A. The battery lasted about 1.5 h before needing a recharge. I had an extra battery so I could just swap them out during the quick charge cycle and keep downtime to a minimum. I finished the robot around 11:00 PM the night before the event. It was a hit! The videos Photon recorded are fascinating to watch. The look of wonder on people’s faces, the kids jumping up to see themselves in the monitors, the smiles, and the interaction are all very interesting. NAN: Many of your Hack A Week projects include Parallax products. Why Parallax? 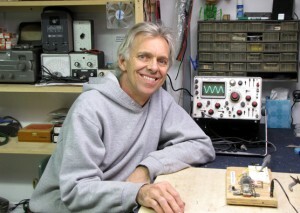 DINO: Parallax is a great electronics company that caters to the DIY hobbyist. It has a large knowledge base on its website as well as a great forum with lots of people willing to help and share their projects. About a year ago Parallax approached me with an offer to supply me with a product in exchange for featuring it in my video projects on Hack A Week. Since I already used and liked the product, it was a perfect offer. I’ll be posting more Parallax-based projects throughout the year and showcasing a few of them on the ELEV-8 quadcopter as a test platform. NAN: Let’s change topics. 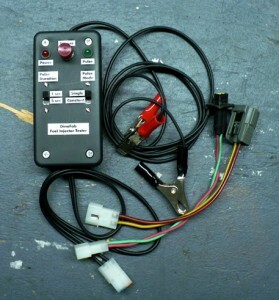 You built an Electronic Fuel Injector Tester, which is featured on HomemadeTools.net. Can you explain how the 555 timer chips are used in the tester? DINO: 555 timers are great! They can be used in so many projects in so many ways. 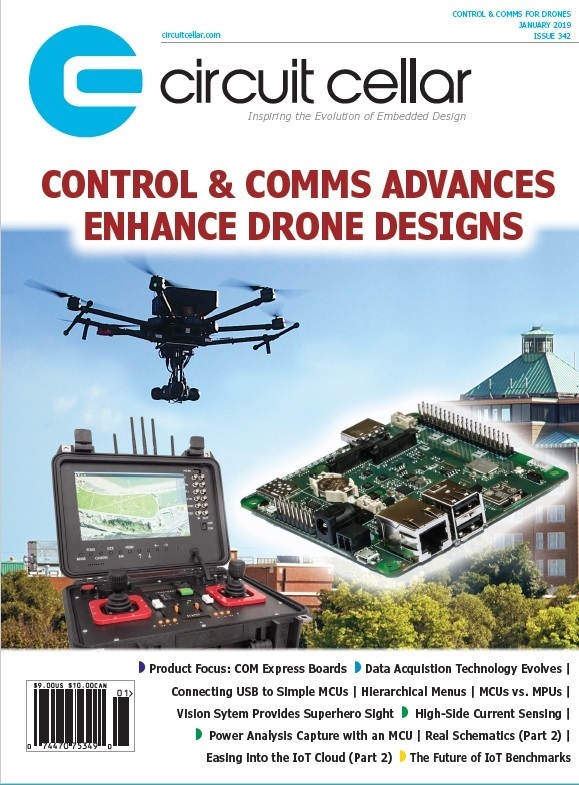 They’re easy to understand and use and require only a minimum of external components to operate and configure. The 555 can run in two basic modes: monostable and astable. Dino keeps this fuel injector tester in his tool box at work. He’s a European auto technician by day. A monostable circuit produces a single output pulse when triggered. It is called a monostable because it is stable in just one state: “output low.” The “output high” state is temporary. The injector tester, which is a monostable circuit, is triggered by pressing the momentary contact switch. The single-output pulse turns on an astable circuit that outputs a square-wave pulse train that is routed to an N-channel MOSFET. The MOSFET turns on and off and outputs 12 V to the injector. A flyback diode protects the MOSFET from the electrical pulse that comes from the injector coil when the power is turned off and the field collapses. It’s a simple circuit that can drive any injector up to 5 A. This is a homebrew PCB for Dino’s fuel injector tester. 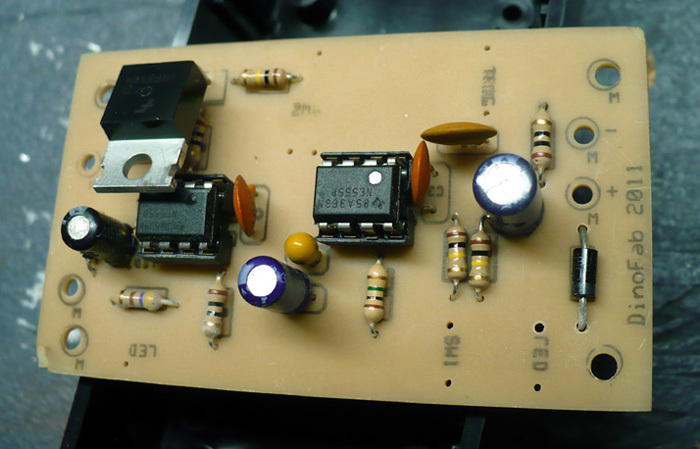 Two 555s drive a MOSFET that switches the injector. NAN: You’ve been “DIYing” for quite some time. How and when did your interest begin? DINO: It all started in 1973 when I was 13 years old. I used to watch a TV show on PBS called ZOOM, which was produced by WGBH in Boston. Each week they had a DIY project they called a “Zoom-Do,” and one week the project was a crystal radio. I ordered the Zoom-Do instruction card and set out to build one. 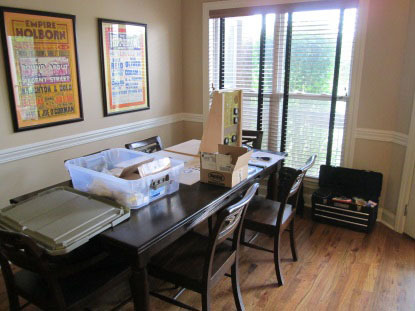 I got everything put together but it didn’t work! I checked and rechecked everything, but it just wouldn’t work. I later realized why. The instructions said to use a “cat’s whisker,” which I later found out was a thin piece of wire. I used a real cat’s whisker clipped from my cat! Anyway, that project sparked something inside me (pun intended). I was hooked! I started going house to house asking people if they had any broken or unwanted radios and or TVs I could have so I could learn about electronics and I got tons of free stuff to mess with. My mom and dad were pretty cool about letting me experiment with it all. I was taking apart TV sets, radios, and tape recorders in my room and actually fixing a few of them. I was in love with electronics. I had an intuition for understanding it. I eventually found some ham radio guys who were great mentors and I learned a lot of good basic electronics from them. 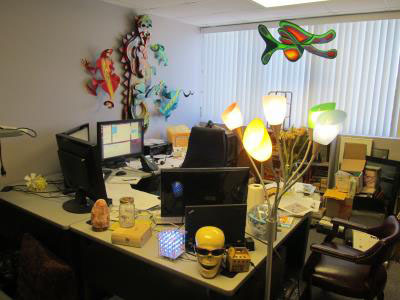 NAN: Is there a particular electronics engineer, programmer, or designer who has inspired the work you do today? DINO: Forrest Mims was a great inspiration in my early 20s. I got a big boost from his “Engineer’s Notebooks.” The simple way he explained things and his use of graph paper to draw circuit designs really made learning about electronics easy and fun. I still use graph paper to draw my schematics during the design phase and for planning when building a prototype on perf board. 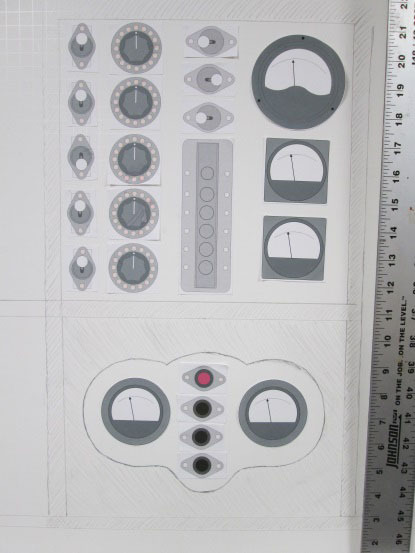 I’m not interested in any of the software schematic programs because most of my projects are simple and easy to draw. I like my pencil-and-paper approach. DINO: An Arduino Uno. I used two of these in the Photon robot. NAN: What new technologies excite you and why? DINO: Organic light-emitting diodes (OLEDs). 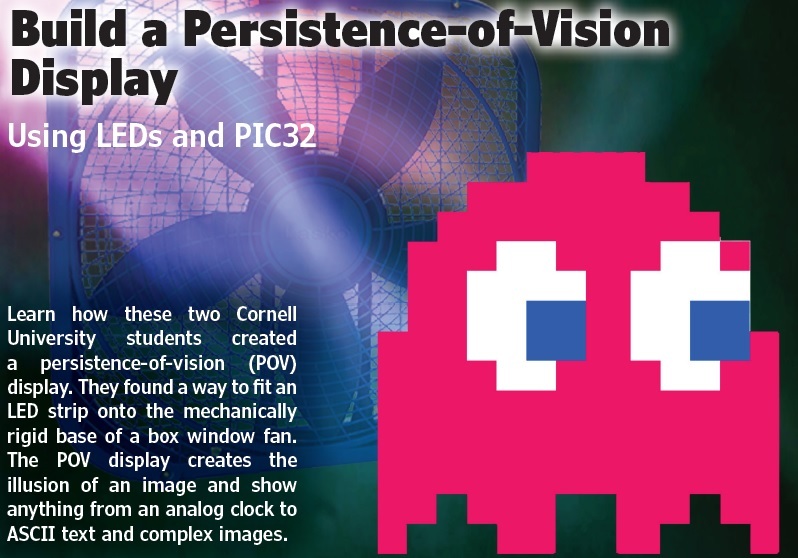 They’ll totally change the way we manufacture and use digital displays. I envision a day when you can go buy your big-screen TV that you’ll bring home in a cardboard tube, unroll it, and place it on the wall. The processor and power supply will reside on the floor, out of the way, and a single cable will go to the panel. The power consumption will be a fraction of today’s LCD or plasma displays and they’ll be featherweight by comparison. They’ll be used to display advertising on curved surfaces anywhere you like. Cell phone displays will be curved and flexible. How about a panoramic set of virtual reality goggles or a curved display in a flight simulator? Once the technology gets out of the “early adopter” phase, prices will come down and you’ll own that huge TV for a fraction of what you pay now. One day we might even go to a movie and view it on a super-huge OLED panorama screen. NAN: Final question. If you had a full year and a good budget to work on any design project you wanted, what would you build? DINO: There’s a project I’ve wanted to build for some time now: A flight simulator based on the one used in Google Earth. I would use a PC to run the simulator and build a full-on seat-inside enclosure with all the controls you would have in a jet airplane. There are a lot of keyboard shortcuts for a Google flight simulator that could be triggered by switches connected to various controls (e.g., rudder pedals, flaps, landing gear, trim tabs, throttle, etc.). I would use the Arduino Leonardo as the controller for the peripheral switches because it can emulate a USB keyboard. Just program it, plug it into a USB port along with a joystick, build a multi-panel display (or use that OLED display I dream of), and go fly! Google Earth’s flight simulator also lets you fly over the surface of Mars! 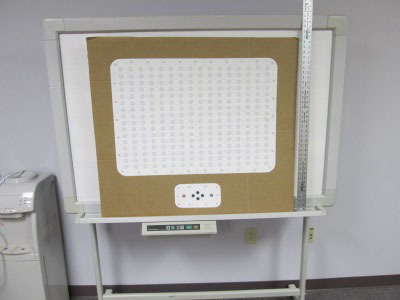 Not only would this be fun to build and fly, it would also be a great educational tool. It’s definitely on the Hack A Week project list! 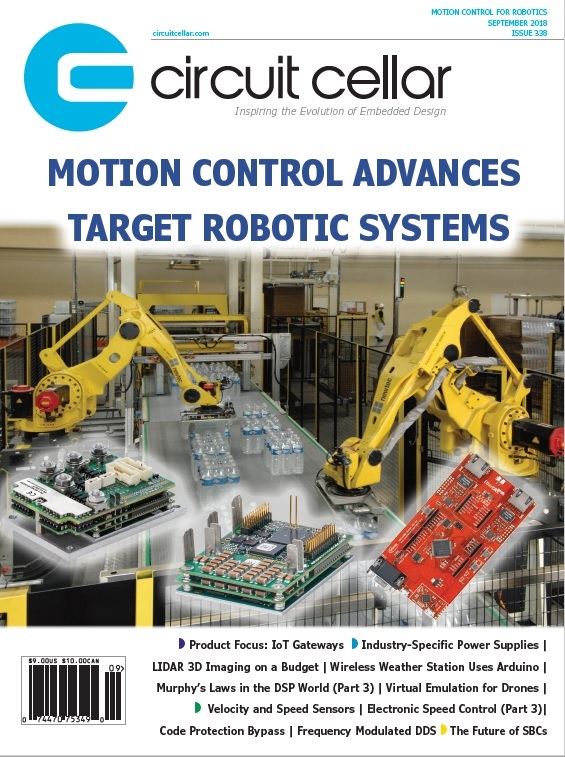 Editor’s Note: This article also appears in the Circuit Cellar’s upcoming March issue, which focuses on robotics. 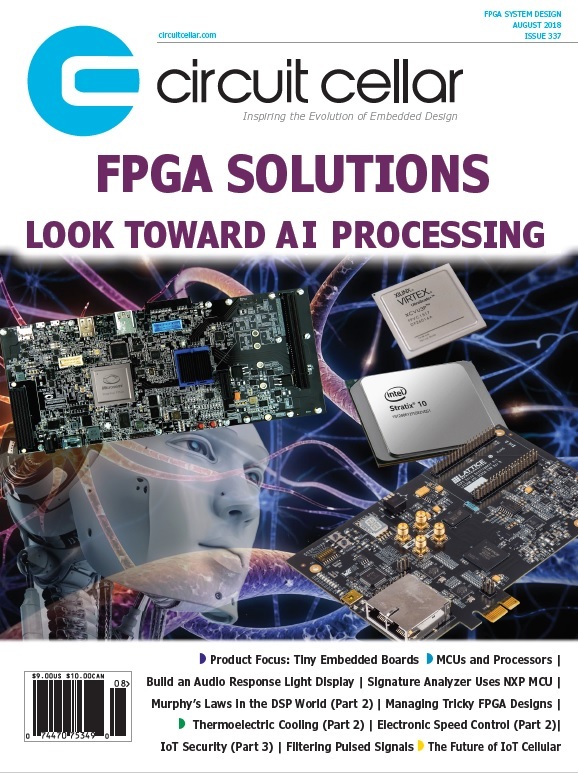 The March issue will soon be available for membership download or single-issue purchase.